The stories of American war veterans are diverse as those who have served. Their experiences, perspectives, and reflections are all different, yet their service binds them together. Some veterans look back at their military service with pride, some with trepidation, and some carry wounds, both seen and unseen. Many have a need to connect with others with similar struggles and values, as only those who have lived through similar experiences can understand. The format in which a story is told in an important part of the creation process. 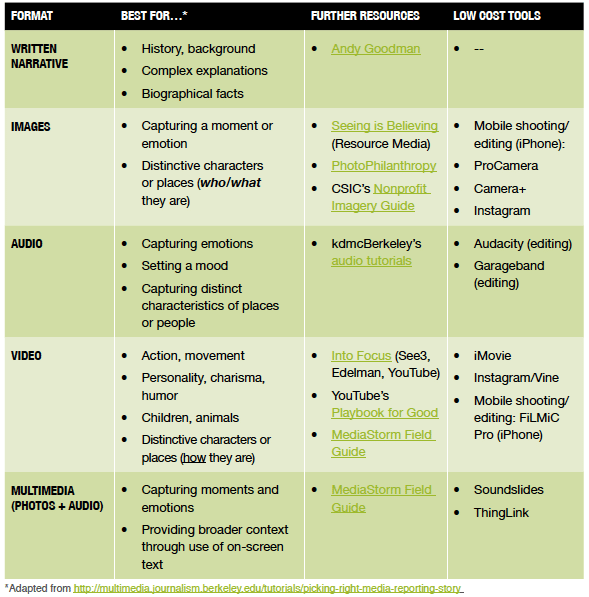 In Stories Worth Telling: A Guide to Strategic and Sustainable Nonprofit Storytelling, The Meyer Foundation highlights which mediums are best for various kinds of information, as captured in this figure. This post examines how veterans’ organizations are creating stories in a range of different media. Video stories can be costly and complex to produce, but the medium is among the best for capturing and conveying the charisma and personality of storytellers. 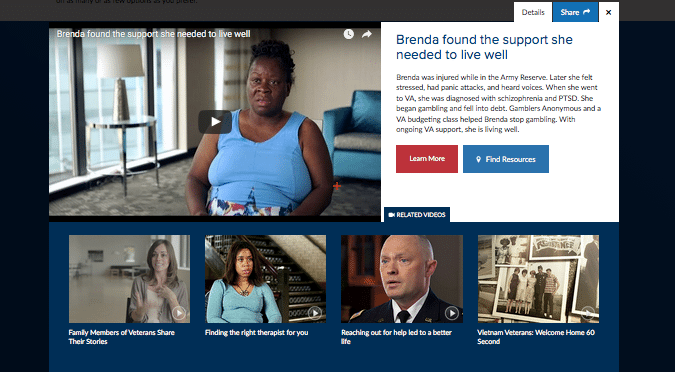 Below are two examples of veterans’ nonprofits that use video successfully. Make the Connection is both a showcase for personal stories and a hub to connect veterans to resources. Users can sift through over 600 short, professionally produced videos of veterans telling firsthand accounts of their distinctive personal struggles and achievements. The collection has a unique, filterable interface, which allows users to sort and watch stories by category such as gender, era, branch of service, or issue. When they click on a story, they are presented with share options, related videos, and links to both learn more and find—or ‘make the connection’-with resources. About Face is another large collection of videos, in this case sharing stories by veterans with Post Traumatic Stress Disorder (PTSD), their families, and health care professionals who work with them. About Face’s mission is to educate and connect veterans with PTSD, providing resources for treatment and community. In over seventy short, first-person video clips, narrators describe their experience with PTSD, each addressing a common set of topics. The content is unique in how it is organized: users can sort a category of videos by sub-topic-watching, for example, all excerpts of the family videos that address the topic “The signs I saw”-or they can navigate to a particular topic within a video. Audio can be a great way to capture emotion. And while it is one of the best mediums for setting a mood, it is also one of the most underused storytelling mediums. StoryCorps—which has for years been collecting stories on all variety of topics—has a powerful set of veterans’ stories on their website, tagged with “Military Voices.” In these stories, veterans speak with their friends and family members, in a medium that both conveys emotion and commands attention. As the Stories Worth Telling report describes, written stories are by far the common form of digital storytelling. Written stories are the least complex to produce and distribute. Below are two examples of organizations that have collected compelling veterans’ stories in written format. The Wounded Warrior Project helps active-duty service members and veterans who suffered physical or emotional injury, illness or wounds related to service. 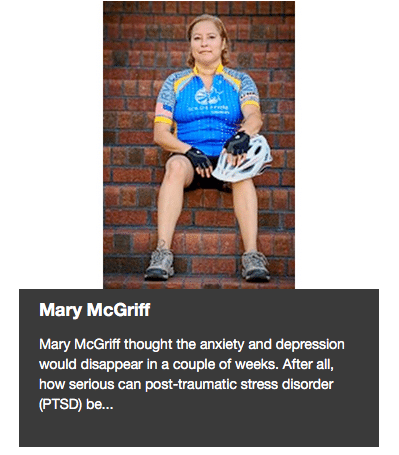 The organization’s Meet a Warrior story collection includes text and photo profiles of service members who have suffered injury and used the organization’s programs for assistance. Operation Second Chance is a nonprofit that provides services and resources to wounded, injured, and ill veterans and their families. The small Our Heroes collection of stories on Operation Second Chance’s website promotes public awareness of the sacrifices made by veterans. Most of the stories have been written by the veterans themselves. Finally, two archiving projects showcase how veterans’ stories can be told in a range of media. Veterans Voices of Pittsburgh is a nonprofit educational media organization, and its purpose is to preserve the stories of Pittsburgh, Pennsylvania veterans by facilitating their telling in different mediums. The Veteran Story Collection includes audio, video, photo and written stories. Through the use of many digital platforms the organization seeks to make its stories accessible to diverse audiences. The Witness to War project is also dedicated to preserving veterans’ stories, most on the theme of combat. The huge story collection contains more than 4,000 videos, 30 photo albums, and 140 written memoirs – all first-person accounts of veterans sharing their combat experience. The stories can be sorted by branch of service, era served, types of media and narrative. As we saw in these seven examples, all forms of media can be used to tell veterans’ stories. But we agree with The Meyer Foundation’s notion that not every kind of story should be told the same way: while a story involving a combat scene might lend itself to audio, a story about a veteran and his service dog might work best in video. Our advice to veterans’ organizations looking to create digital stories is to first find the content and discover the story, then choose the media.